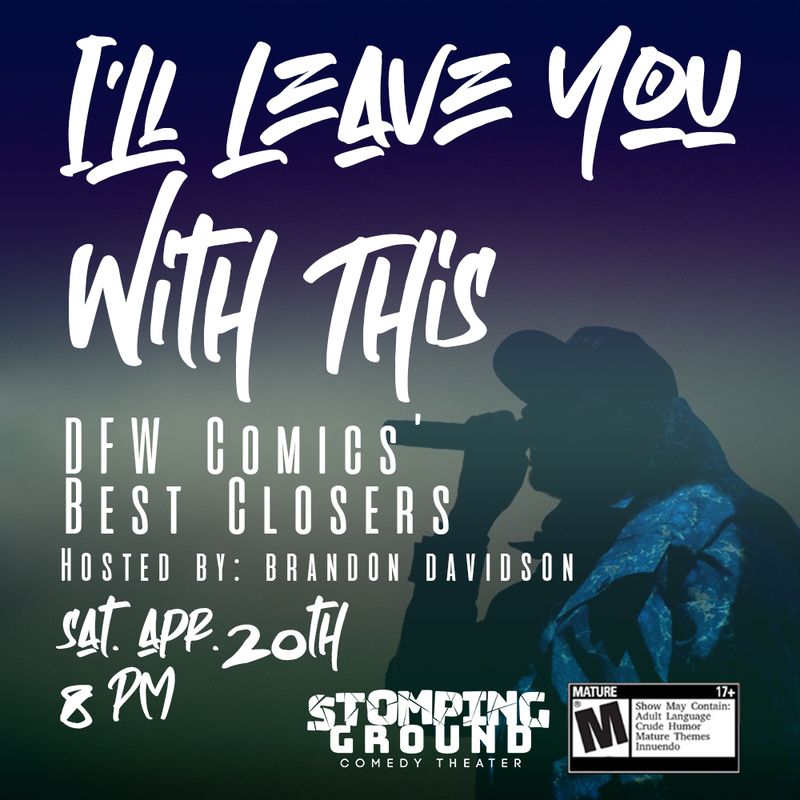 Stomping Ground presents “I’ll Leave You With This”, DFW’s best comics doing their closing joke. This evening of comedy is hosted by Tyler’s Brandon Davidson and is part of Stomping Social Night. Join us for this show or all night as part of Stomping Social. This show is rated Mature/18+. Stomping Ground is BYOB. Seating begins 15 minutes prior to the start of the show.